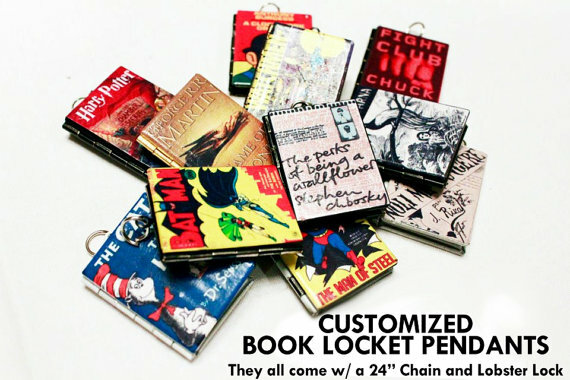 Wear your favorite book close to your heart with these amazing lockets. 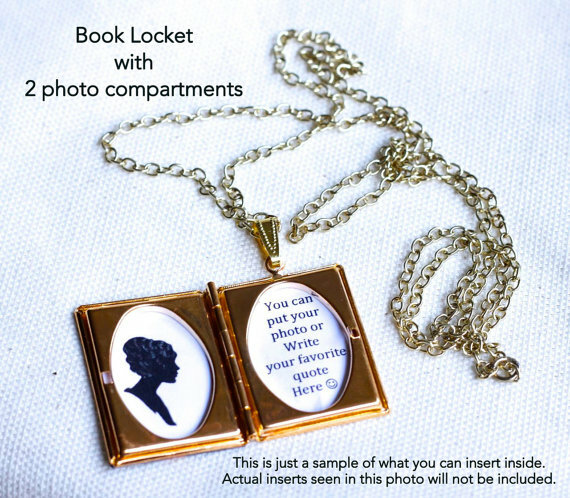 JunkStudio will take the cover of your favorite book, miniaturize it with magic, and turn it into a locket. You can then insert your favorite quote or a picture from the book on the inside. What a cute idea! I can see this also being a meaningful gift. I’d love to give one to my mom–she instilled a love of reading in me from a very young age. If I were to get one for myself, I’d most likely pick the book “The Time Traveler’s Wife” as it’s one of my favorites, and the name alone can concoct up thoughts of Doctor Who and other time travel stories. What book would you select? Custom Book Locket, $20.50 at Etsy.com. Life: A Gamer's Guide to "Getting Ripped"
Cute! I think I’d pick something from my childhood. Maybe The Lion, the Witch, and the Wardrobe.